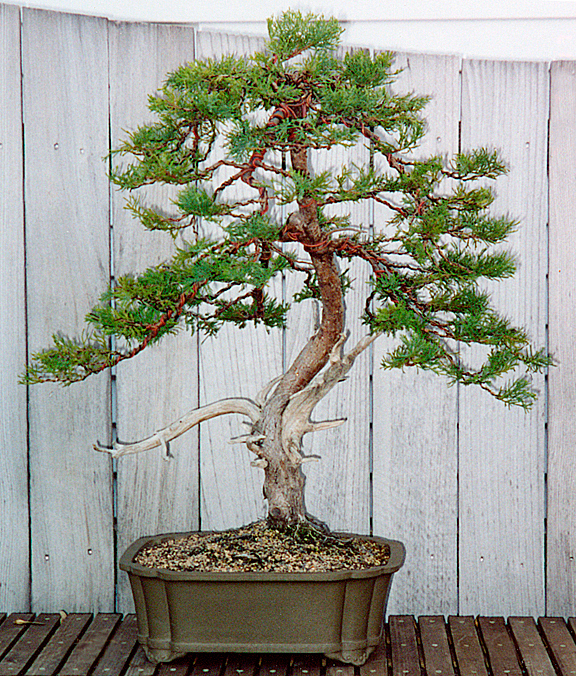 This bonsai was collected from the owner's yard in May of 1999. 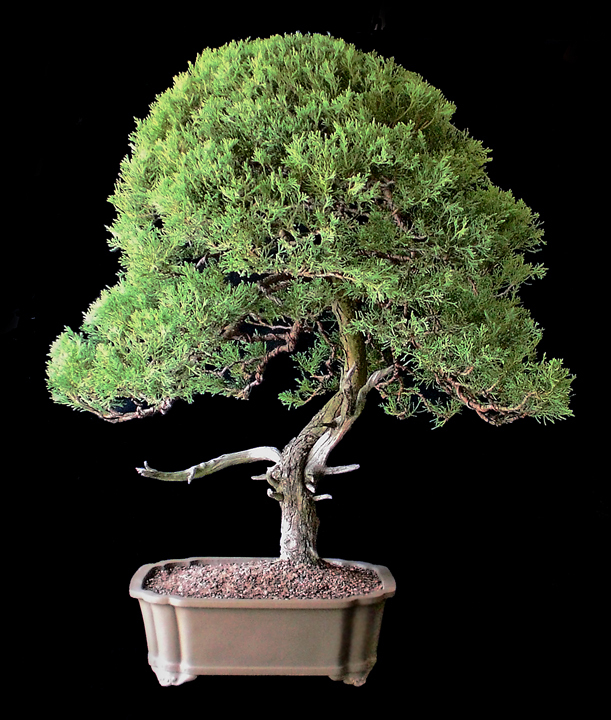 The juniper was five feet wide. Surprisingly, it only took less than an hour to get it out of the ground. 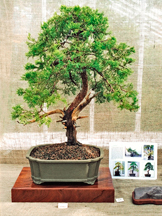 The following year, May 2000, the juniper's first styling took place. Below are three photos. 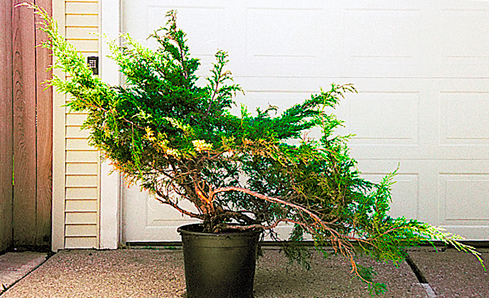 The one on the left shows the tree just before major work started. 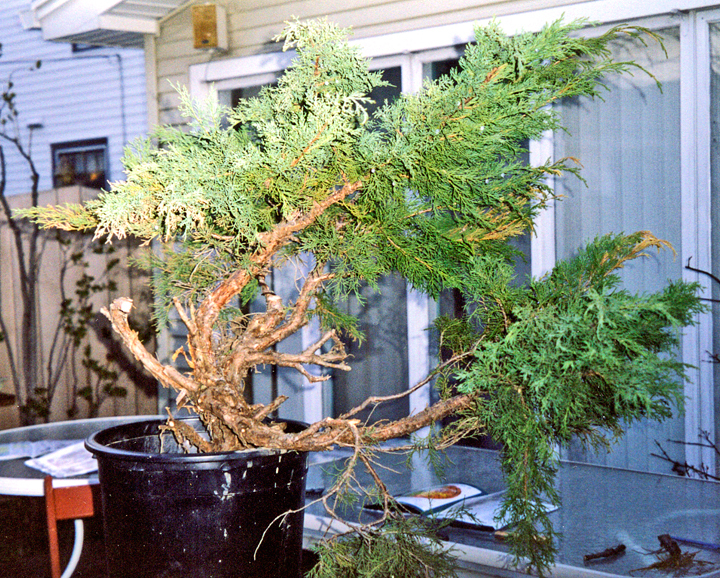 In the center you will notice the branches were wrapped with raffia and clamps were placed at various points on the branches to start the initial bending of the branches. The right photo shows that a length of black pipe was wired to the back of the main trunk and turnbuckles were used to “pull” the trunk backwards. Both clamps and turnbuckles will be left on the tree for several months and periodically, gradually tightened to achieve the curves desired. Also note that the trunks of the tree that were not used were converted to jin. 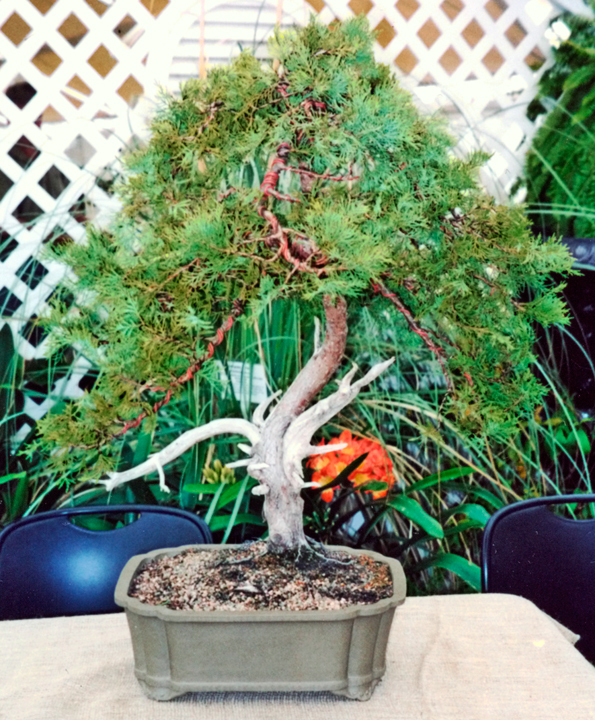 Below are three photos that show tree for the years 2001, 2002 and 2003. 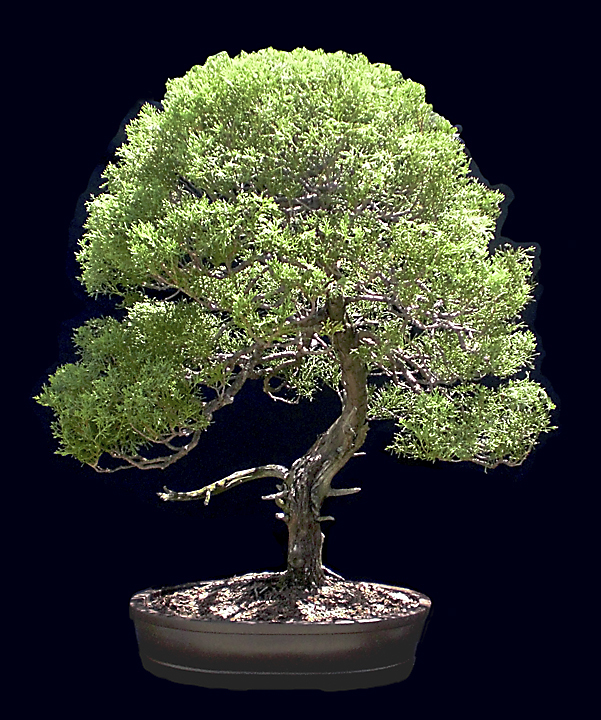 With constant pinching of the foliage, the tree developed significant increases in foliage. 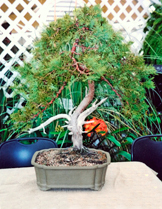 In 2002, the bonsai was displayed in the club's annual bonsai show. By 2003, the foliage had grown so much that it began looking more like a shrub than a bonsai. 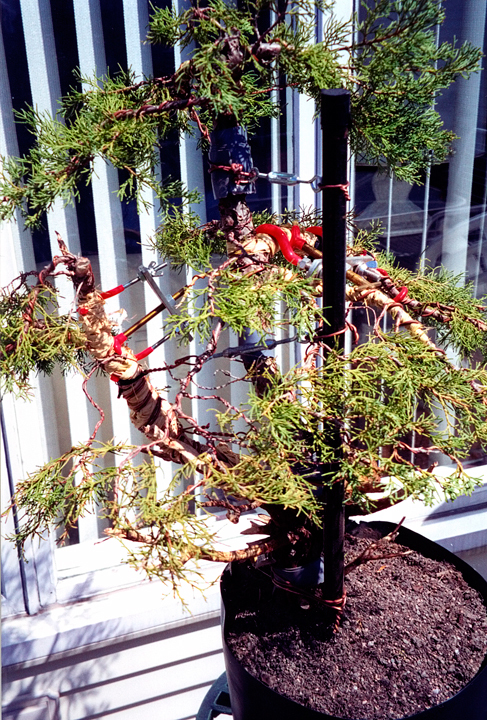 It was now time to try refining the foliage on the bonsai into layers. 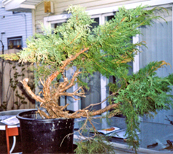 So later in June of 2003, the bonsai had every branch wired and the foliage pinched to create the first step in obtaining the foliage pads that mark a fine bonsai. 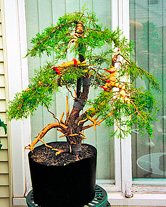 Shown below is the bonsai as it looked in June of 2008. It has come a long way from the five foot wide shrub of 1999 collected from the owner's yard. The foliage still has to fill in and the layers of foliage pads improved. 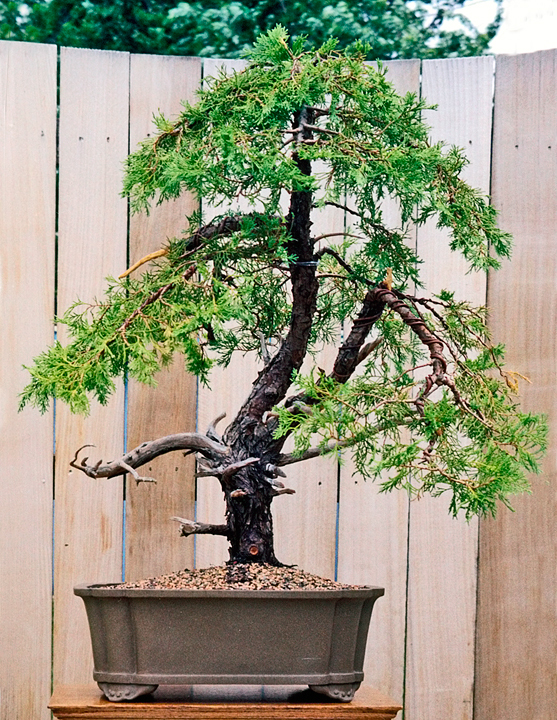 It is now 26" wide and 32" tall. 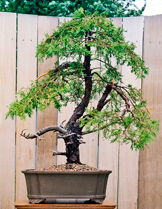 Back in 2001, the first bonsai pot selected was very deep, to ease the transition from the five gallon plastic growing pot that was initially used when the tree was collected. 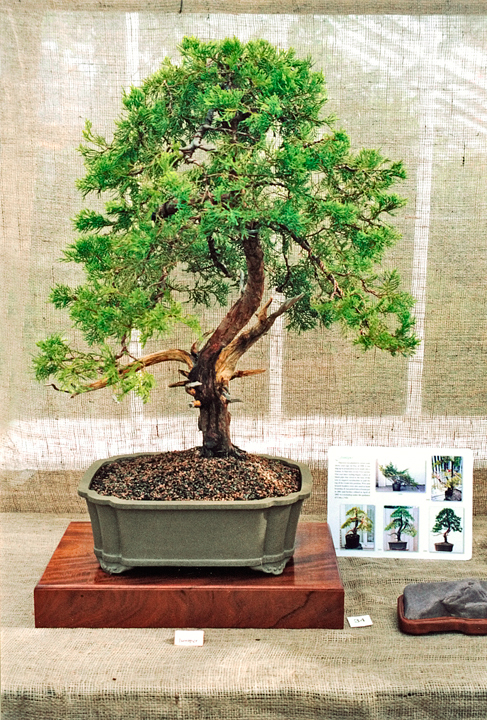 In May of 2013, the Juniper bonsai was re-potted into the proper size bonsai pot based on its overall size. 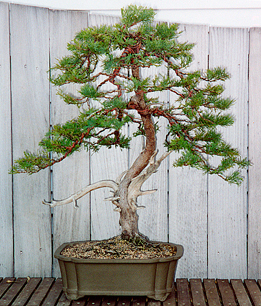 Prior to the re-pot, the bonsai foliage was also thinned out.